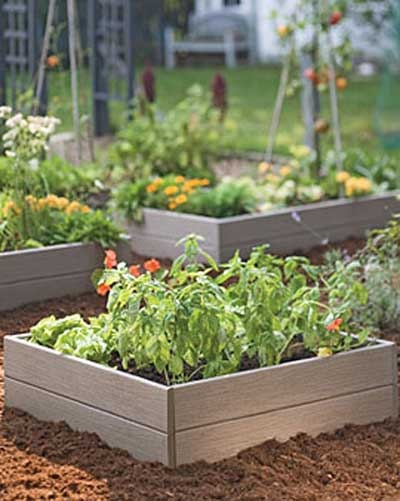 Many gardeners want to garden not only brought a good harvest, but also look aesthetically pleasing. To decorate the garden are beautiful the beds, to do that it is not so difficult. You just need to follow a few simple rules and use your imagination. It is best to make a high bed, they will be fertile and beautiful. To make them you need all the rules. Mark the space under the beds to place them from the North to the East. On the bottom put branches, sticks, hay, leaves. Sprinkle top layer of compost, then put cow or horse manure, and it is the earth with a thickness of 10-15 cm This bed will be a long time fertile and warm. Its width should not exceed 160 cm, the height should be 70 cm. Now you need to make fences for the beds is comfortable, besides the beds with the bumpers look prettier than usual. Fences can be made from those materials that are on hand or purchased. Take, for example, the sides of logs in the form of a well, paint the garden-wells or decorate them with carvings. Another idea – turn over beds of slate, cutting his grinder on a flat strip. Suitable for fencing and smooth boards, but they are bad because they will rot in 4-5 years. 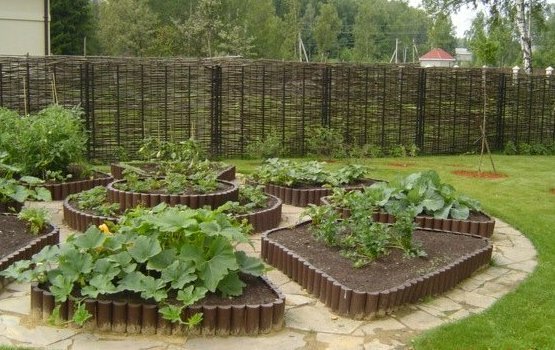 There are plastic borders, can frame your garden beds with them. Great little garden beds and flower beds out of tires, painted in different colors. 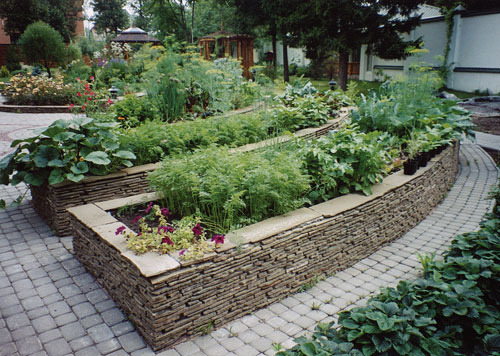 Original look beds framed by stones, a fence or low curbs of trimmed plants (lovage, parsley, lettuce, hyssop. So the beds look nice, you need to turn over not only them, but also to take care of the space between them. Therefore, proceed to the next stage. 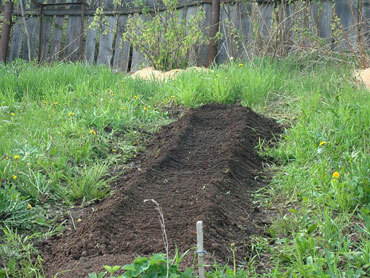 Put between the beds of the geotextile (it is sold in DIY stores), and on it pour the gravel, chippings or bark. Such dumping will brighten the aisle and will not allow to grow into weeds.